NV: Hi Gargouille! Rattling and roaring pipes, ay? Does the rattle sound more like a low slow banging or rapid machine gun fire? Any whining or squeaking? Hissing or tapping? I’m laughing to myself because this reminds me of those AAMCO commercials where the customer is standing in the repair shop imitating bizarre car noises to the mechanic. 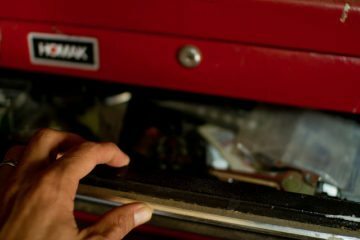 Funny stuff, but the truth is, sounds are very telling – and not just the sound, but also where and when it makes the sound that can help diagnose a problem. In your case, the rattle happens when you turn your faucet ON and it’s coming from “somewhere in the walls.” Based on these two factors, I’ll deduce that when the faucet is turned on, the movement of the water running through the lines is rattling a pipe somewhere – a pipe that has loosened from a strap that once held it firmly in place. A loose pipe is the noise culprit! But then again… it could be air in the water system. Or is it something else entirely, like water hammer?! Gargouille, what we have here are the same dreaded diagnostic dilemmas faced by mechanics, tradespeople, and doctors alike! You ask, “Should I be worried?” Maybe. Again without a definitive diagnosis, it’s hard to answer, but I will say, if any vibration is strong enough it can’t be good for your pipes and fittings. Ok, deep breath. Try the simplest solutions first. Have someone turn the water on and off while you try to identify exactly where the sound is coming from. Test both the hot and cold water from the faucet. When you locate the banging pipe, hopefully it will be exposed (like in the basement or crawlspace). Secure the pipe by adding a small piece of foam or rubber pipe insulation to the pipe and re-strap it. 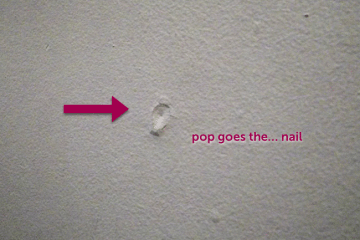 If the banging pipe is behind a wall and can’t be accessed, there’s not much you can do without opening up the wall. 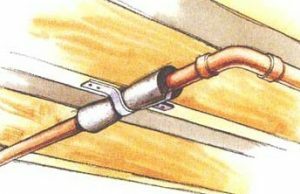 You can try to wedge padding or wrap insulation at each point the pipe emerges from behind the wall or at shut-off valves. Shut off your water at the water main. Starting from the highest faucet from the main (or farthest in a single story house), turn on all of your faucets, flush your toilets and briefly turn on your washing machine and dishwasher, until all the water is voided from your system. When the water stops draining, starting with the lowest faucet from the main (or closest) shut them off, re-flushing the toilets too. Now slowly turn the main back on. Water will be back in your lines, and air back in the air chambers! You may have to repeat this procedure to get it right, and don’t be surprised if air sputters out when you turn the faucets back on. Mind you, countless sounds can indicate a myriad of plumbing issues. Reviewing them all here would be a major yawn fest. That said, I will discuss two of the biggies – water hammer and HIGH water pressure. 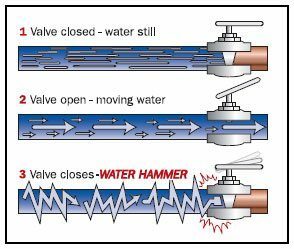 Water hammer – This is a specific problem with a distinctive loud repetitive banging sound that occurs when a faucet or valve is shut OFF. If it’s bad enough and left uncorrected, water hammer can loosen and even break fittings and valves! It’s caused by an abrupt stop of water flow at the stopping point (a faucet or shut-off valve). The pressure bounces backwards through the water and creates that hammering sound. Emptying the system of water (detailed above) can cure water hammer. If it doesn’t, it’s time to call in a pro. So now Gargouille, if your pipes go bump in the night, or in the middle of the day, you’re all cool on how to calm the clatter. Thanks for your questions! My kitchen sink – I can run the hot water all day with no problems. But running the hot water for a few minutes and then switching to the cold everything starts shaking. I have a home that was built in the late 70’s. I have recently replaced two toilets in the house with water saver units. These two toilets share a common wall between them and the toilets are back to back. Since installing these newer ones I have a problem that when I flush either one of them they pull water out of the bowl of the one that isn’t being flushed. I have checked to make sure that there is no blockage in the main pipe and there isn’t. Any idea what is causing this and if there is a solution for it? Hi Clark, thanks for your inquiry for Norma. Norma is currently on hiatus and won’t be able to answer your specific question. Sorry we can’t be of more assistance here. Good luck with the project. When the washing machine is on and a faucet is turned pn elsewhere in the house the pipes in the walls start to hammer and shake the house. It sounds like the pipes are worse near the faucets closest to the washing machine first. Shut off main and drain never drains. I turn on and off a few times before it stops. Also my t-handle spigot handles to the washing machine hose seems stuck, I can’t turn handles to see if water is on or off. The pipe and handles are mounted so that they are in the south position instead of north, like it is upside down. Do I need to call a plumber? Hi PJ, thanks for reaching out with your question for Norma. 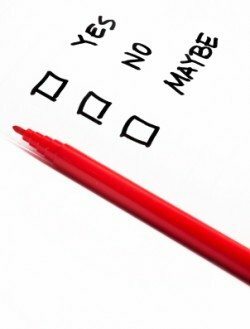 Unfortunately, Norma is on hiatus and won’t be able to answer your specific question. 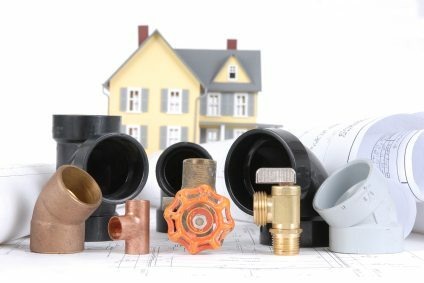 Be sure to check out her follow-up article on pipes, perhaps you will find some additional information that will be helpful. Have a clever hack for those pipes in the wall. Rather than cutting the whole wall open, if it’s a shower, you can remove the valve or knob cover plates to expose a hole. You can then spray in expanding foam – yes it’ll probably eat up a few cans before the stud cavity is filled, but loose pipes be gone! Thanks for sharing Fanie, this thread is still going strong so we appreciate you posting your solution. When we turn the hot water on in the bathroom sinks there is a banging of water pipes under the house unless the faucet is turned on almost all the way. Could this be a regulator problem or a loose pipe? The banging is real bad and loud, but stops if we increase the water flow through the faucet. my water pipes roars and shakes when I turn on the cold water what can I do to fix it please help. Hi Douglas, thanks for your question for Norma. 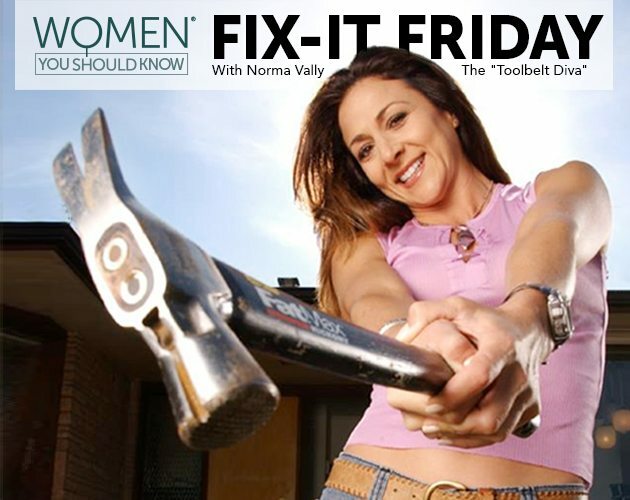 Norma is currently on hiatus and won’t be able to answer your inquiry, but if you aren’t finding tips on this story, you can find some additional info on issues with pipe here https://womenyoushouldknow.net/fix-it-friday-noisy-leaky-or-blocked-up-pipes-norma-tackles-common-plumbing-problems/ and here https://womenyoushouldknow.net/fix-friday-quiet-pipes-shake-rattle-roar-round-2/ Good luck! Oh, forgot to mention that the groaning sound only happens when we turn on the cold water (anywhere..including flushing the toilet). Perhaps you could help us with our problem We replaced the hot water tank pressure relief valve and the expansion tank (oil fueled system). We pressurized the expansion tank to 67 pounds (our house water pressure). Whenever we use cold water in the house we get a groaning noise for a few seconds, only happens when we use cold water. We checked the expansion tank pressure (5 months later) and it was at 65.5 lbs. Any suggestions? Thank you. Hi Diane. Thanks so much for your comment. Norma is currently on hiatus and won’t be able to answer your specific question. Perhaps you can find some additional insight from two additional posts Norma wrote on the topic. Hope this helps. Good luck! 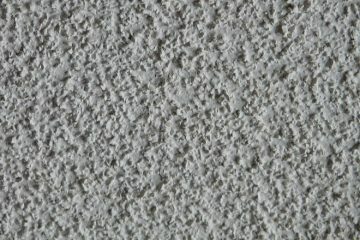 Generally people lack, to find the reason behind and the point from where the sound of water hammering is coming from. But after reading your content, they will surely get some guidance, what step to follow to get rid of such issues. Our house has a finished basement apartment. One fine day, the toilet backed up, and up & up. My husband bailed as fast as he could, but couldn’t keep up. We all began bailing. Now, for the punch line: we were dumping it into the laundry room sink. Guess where it was going. A video would have been hilarious! Unfortunately, water had to be carted up 9 steps. Fortunately, miraculously, it slowed to a stop. It was a clogged sewer line. Costly. I said all that to say, that roughly the same time, the basement kitchen faucet started acting peculiarly. While running, the flow suddenly diminished to almost nothing. If it was kept on, the pipes upstairs shuddered loudly until the water was turned off. I thought it had something to do with the water being used upstairs, but, not all the time. And, this doesn’t happen all the time, maybe once or twice a day, or less. The faucet has two controls, both hot & cold are affected. We also have, and have for some time, what I have read is water hammer. I don’t think it is related, since that seems to affect the upstairs bath tub, only. 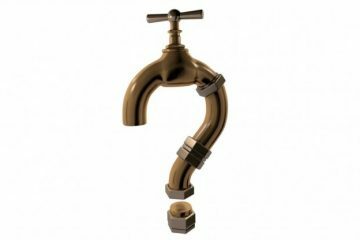 Could the kitchen issue be a faucet problem? Thanks for the reply. Some of the problems in these articles are similar, but my problem appears occasionally, unpredictably and affects both hot & cold water. It may happen several times a day, or not for several days; hence, my reluctance to call a plumber. It’s just like going to the dentist because of an excruciating tooth, which refuses to hurt the minute you sit in the chair! Oh, we know that situation well. Sorry we can’t be of more assistance, perhaps you can ask an expert in the plumbing department of a home building store? We’ve found many of the associates to be quite knowledgeable. Good luck! Any ideas about whether trapped air causes loud hooting in the pipes? If you have a newer house with pec water pipes the noise you hear when you walk by the walls is from air being in your water heater. Go to your water heater and open up the pressure relief value. This will release the air, let the valve shut when the water starts to run out. The noise will stop when you take a shower. This took me months to figure out. Plumbers wanted to open up my walls. We have been getting a loud clang in the pipes after the toilet is flushed and almost all of the water has refilled the tank, and then the hot water will stop.. Like, no water coming out of the pipes. There is hot water in the lines but it won’t come out of the faucets. All of the faucets.. 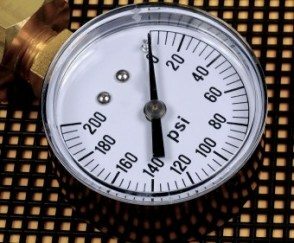 This happened last spring so we fixed a valve in the bathtub faucet and it seemed to help.. After reading most of this thread, I feel like I need a water pressure regulator (our town is horrible about water pressure) but why does this affect the hot water only? We have a 19 yr old two story house. This issue started about a year ago. 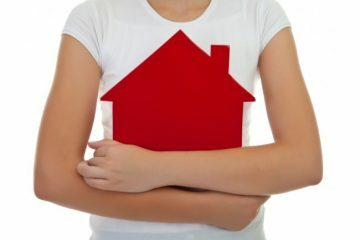 The noise happens during any water change of pressure and the noise seems to come from the wall between the bathroom and bedroom upstairs. The dishwasher cycles are the most chatter because that pressure is constantly changing. Anyhow, we did the valve shut off and running the faucets down but I just read that you need to run the washer and dishwasher too. How would I do that without ruining both appliances? What about the water heater?? We did replace the water heater about a year ago and that coincides with the timing of when the rattle noise occurred. Not sure if that makes the difference or how to fix it. If it persists how do I know WHERE IN THE WALL to cut to restrap a pipe!!! Is there a tool to detect the exact place? Would love some advise here. My home warranty will not cover or send someone unless the pipe bursts.